Not exactly the proverbial “ladder to heaven, but this is one of the classic great games seen in many carnivals. Test your skills and watch others test their skills. The Jacob’s Ladder is a great test of balance and coordination. Two competitors try to climb to the top of the rope ladder. The one who makes it to the top is the winner! Players may also opt to test their skills to see how many times it takes them to get to the top. Not as easy as it looks, each ladder has a swivel on each end truly making it a challenge to reach the top. The weight of the climber makes the ladder swing, but with patience and skill you can reach the top. 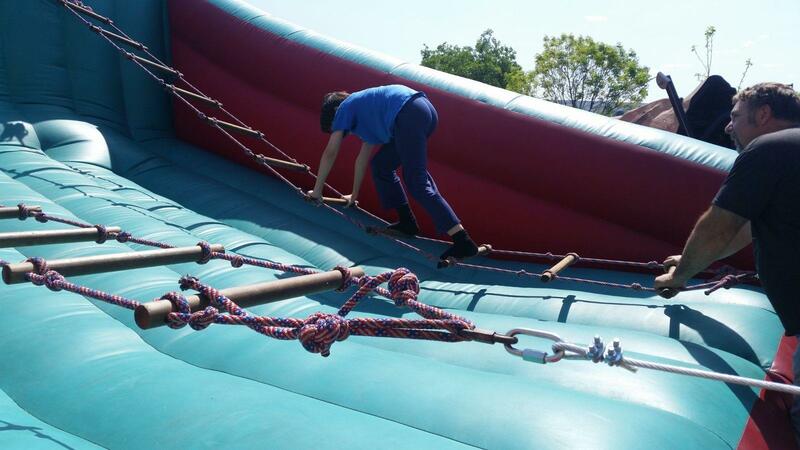 If you do make a mistake, have no fear, you will fall onto a cushioned inflatable and you can try again. 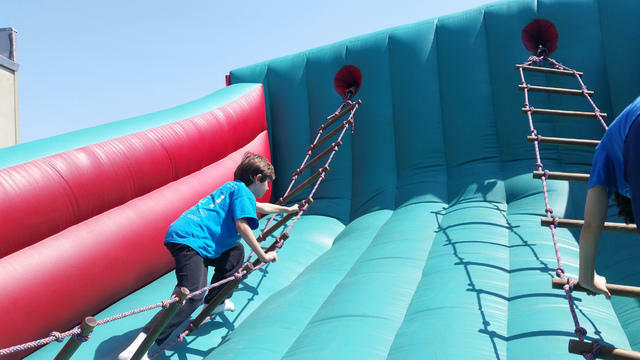 The Jacobs ladder game is a perfect carnival game and perfect for fundraising events!